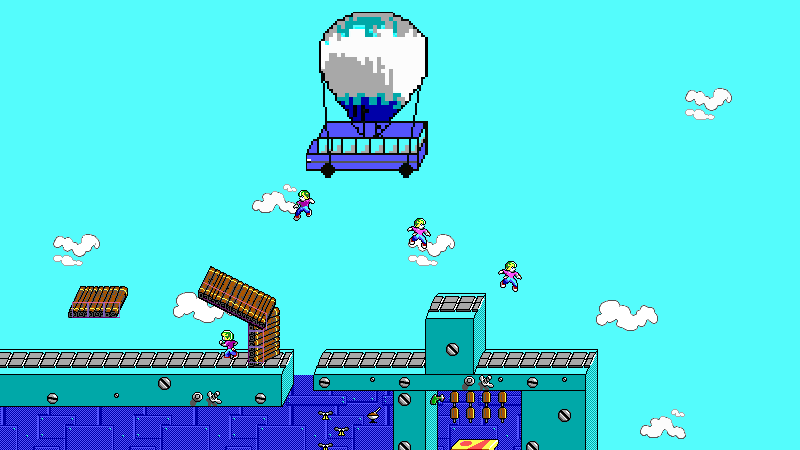 You can discuss anything about fan-made Commander Keen games here. FortKeen: Battle Royale is a new survival genre game under development. This round-based multiplayer game features a giant island map. Up to 100 players can enter it by taking a ride on a hot air balloon bus. Players need to drop from it at a location they want. Otherwise they will be dropped anyway after 30 seconds. You can build wooden structures which could help you staying alive or reach otherwise impossible to reach places. You can collect bullets or bombs which will help you eliminate other players. A harmful storm will begun shortly after and will shrink the playable area. You need to escape it and move into the safe area. The last one remaining alive wins the round. Last edited by Roobar on Thu Jun 07, 2018 13:40, edited 2 times in total. Incredible! The competitive multiplayer platformer game we've all been waiting for! 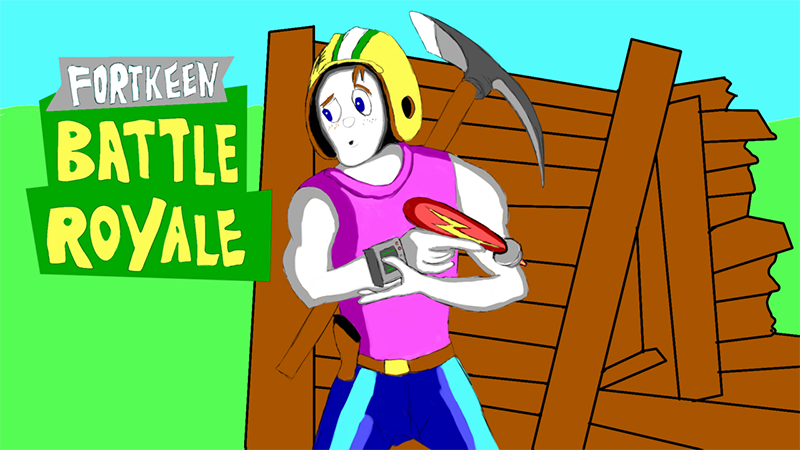 Commander Keen in... Canteloupe Quest! Sigh... I forgot my personal maxim to always screen YouTube links. I flermmed the plootash just like you asked. PUBG! PUBG! PUBG! PUBG! PUBG! Nice try, but a very good one. As usual, Roobar makes the best Keen games that don't exist. Well, that's partly true. Keen Galaxy Defender came out after the Major Keen mock-up I made back then and it even uses some of my graphics. My DM multiplayer mock-up screenshot inspired many and NetKeen become a thing shortly after. So in a way I was part of some projects that do exist now. Hopefully soon something else as well.